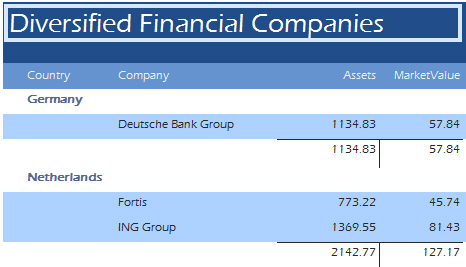 Create a new query called qryDiversifiedFinancials which shows the 12 companies in the Diversifed Financials industry sector. Don't bother typing in the whole of Diversifed Financials in the criteria row - just "Like Divers*" would do. Save this report as repDiversifiedFinancial, then close it and the database down.